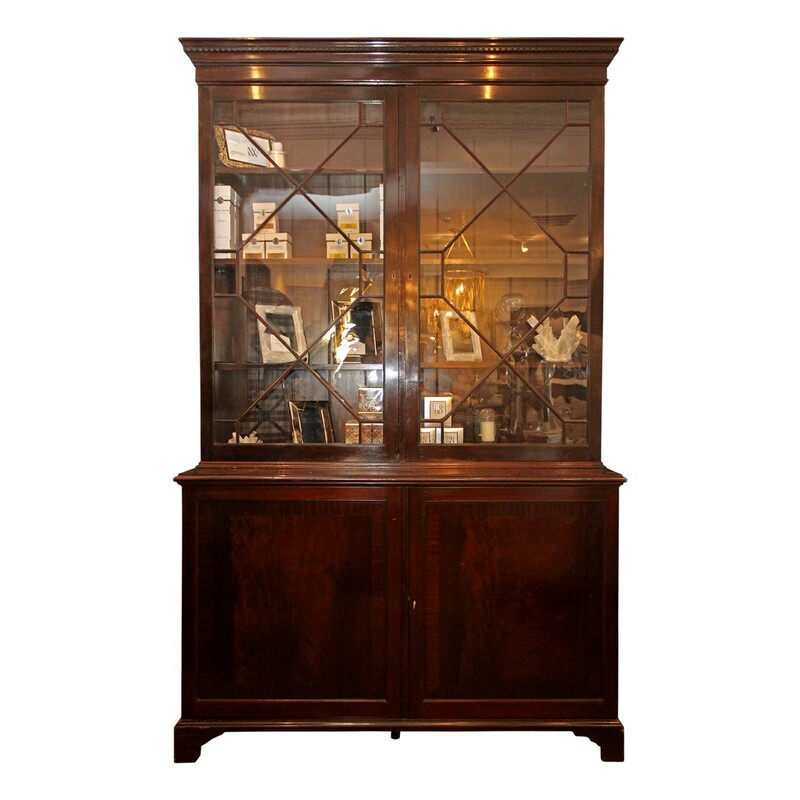 Make a statement in your living room with the Antique Mahogany Chinese Chippendale Secretary curated by Megan Winters. This cupboard features original glass paned doors on the top half, which offer a lovely way to showcase your decorative objects. Behind the doors (in the bottom section) are three more shelves for storage. 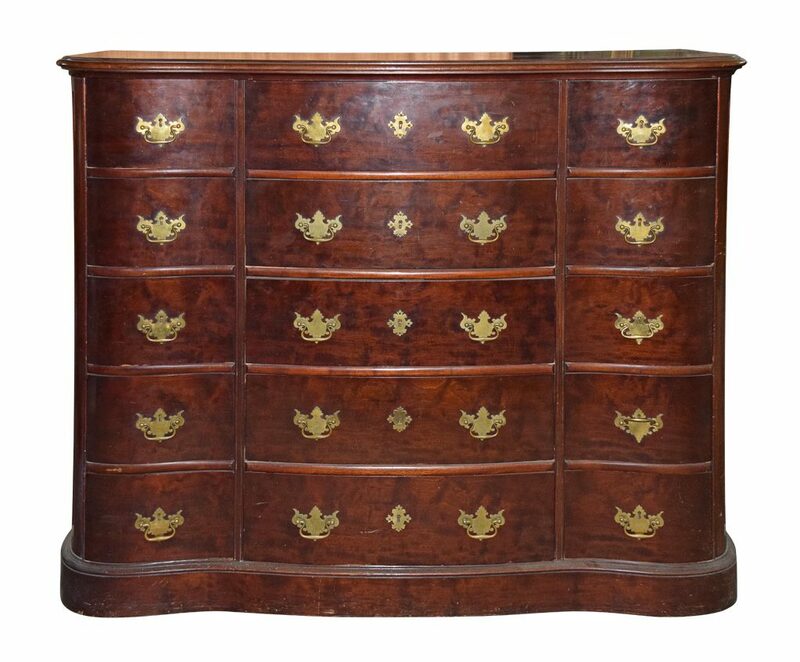 The Antique Chippendale-Style Chest of Drawers curated by JF Chen would be a welcome addition to your bedroom.Â Made in the style of Thomas Chippendale, the piece is constructed of rich mahogany and accented with brass. If your looking for a dining room table, consider the Theodore Alexander Chippendale Extension Dining Table. The versatile piece is actually series of console tables that join together to create an elegant dining table. 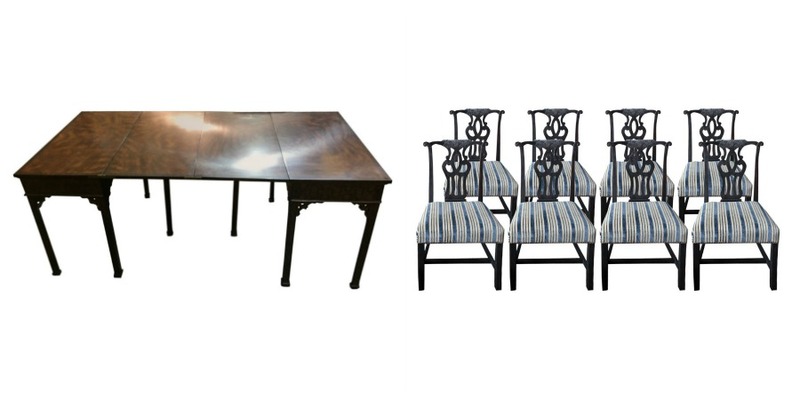 The Custom Chippendale-Style Dining Chairs are sold in a set of eight. Their hand-carved backs work well with the fret-carved frieze of the table. Update your living room with the Vintage Chippendale-Style Coffee Table. Made of walnut, the piece carries the French influence with its curved cabriole legs and parquet style top. If you aren’t ready to commit to a whole room done in the Chippendale style, add just one or two pieces. Consider the Chippendale-inspired Vintage Cumulus Slipper Chairs curated by Mission Avenue Studio. 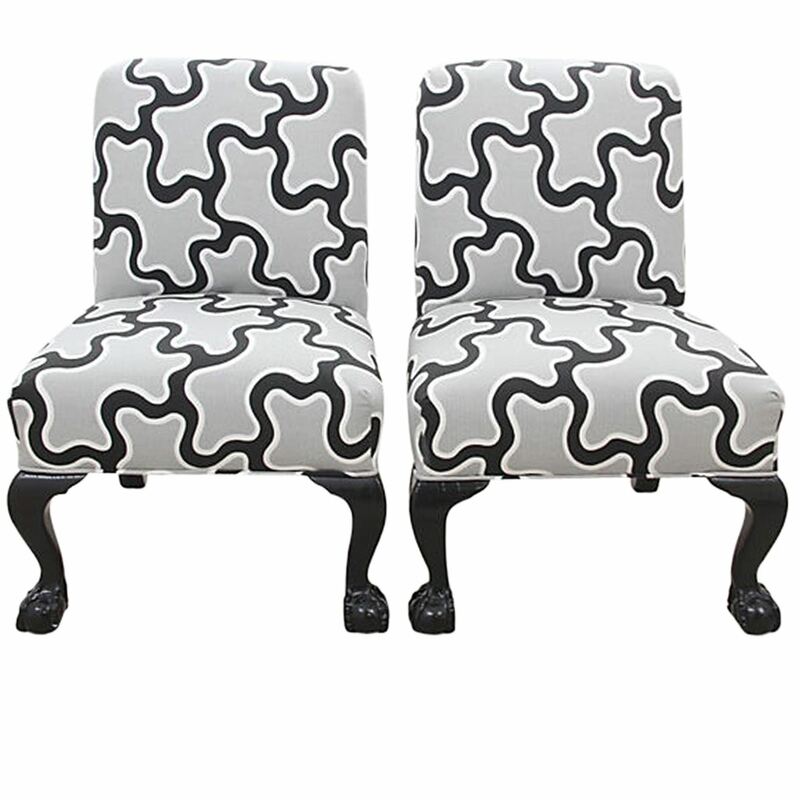 Done in a Kravet Cumulus fabric in black, grey and white, the chairs have a more modern feel. 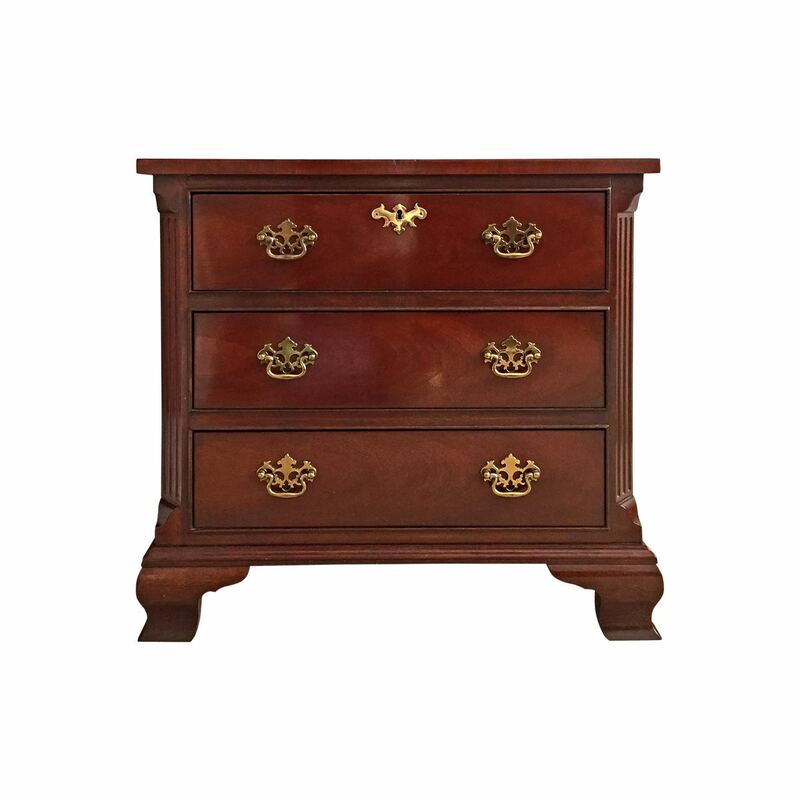 A lustrous mahogany veneer and timeless details make Baker’s Chippendale-style nightstand a classic choice for bedrooms. It also works brilliantly as an occasional table in a hall, paired with a great piece of art above.